Communication majors must complete 1-3 hours (50-150 contact hours) of off-campus student internship (COM 499). Completing the internship during the summer is recommended. It affords more time to build professional skills and contacts that will help your career development. 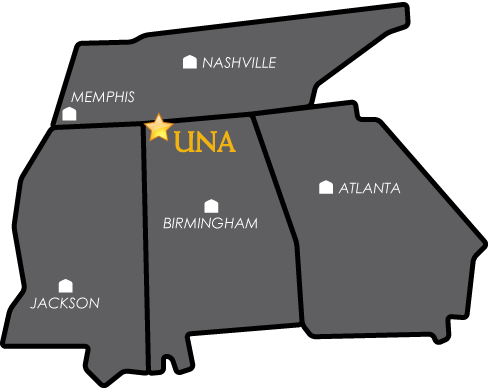 We encourage you to complete your internship at a location outside the immediate Shoals area. A copy of the COM 499 Departmental Syllabus is available here or by clicking the image below. See your internship instructor for specific requirements. The point of an independent study is to allow you to propose a course of study (not just a project) in an area for which we do not currently offer courses. Proposals should be submitted to your academic supervisor by mid-term of the semester prior to the semester in which you plan to enroll in the independent study. A copy of the COM 498 Departmental Syllabus is available here or by clicking the image below. See your academic supervisor for specific requirements.